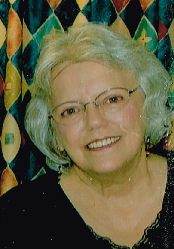 Jean Gail Smith, 74, of Lyons, passed away March 20, 2019 at Good Samaritan Society, Lyons. She was born October 17, 1944 in Yakama, WA, the daughter of Augustus and Dorthea Bensinger King. Jean attended Sterling Schools. She has resided in Lyons since 2002, formerly of Hutchinson. Jean was a florist for Dillions in Liberal, KS. She was member of the Calvary Baptist Church, Sterling and the Westside Baptist Church, Hutchinson. On February 6, 1960, Jean was united in marriage with Lewis McCay Smith in Lyons. He survives of the home. She is also survived by her four sons, Lewis M. Smith Jr. and wife Ramona of Sylvis, IL, Kenneth A. Smith of Radcliff, KY, Jeffrey C. Smith of Harrisburg, PA, and Kelly L. Smith of Lawrence, KS; daughter, Shelly M. Smith of Hutchinson, KS; sister, Vi Housel of Flint, MI; eight grandchildren; and three great-grandchildren. She was preceded in death by her parents; daughter-in-law, Ela Smith; brother, Joe King; and sister Betty Dean. Graveside funeral service will be 10:30 A.M., Saturday, March 23, 2019 at the Sterling Community Cemetery. Memorials can be made to Good Samaritan Society, Lyons in care of Birzer Funeral Home, Lyons.